Colorado TU says NO on 74!! 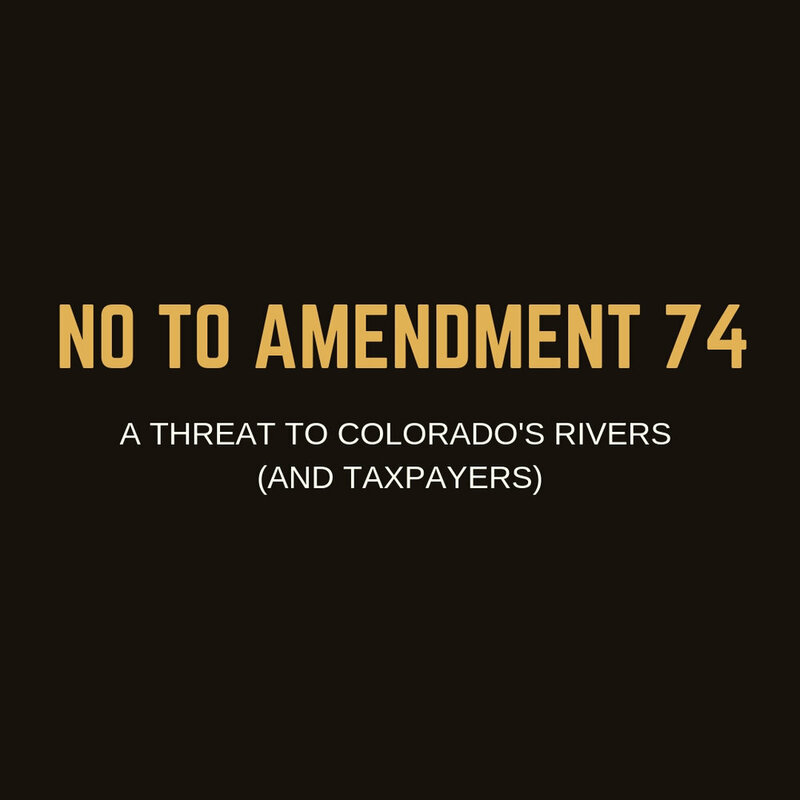 We rarely get involved with ballot measures, but Amendment 74 poses a fundamental threat to Colorado TU’s mission to conserve, protect and restore coldwater fisheries. The Amendment is risky and extreme. Under current law, when government takes private property for public use, it must compensate the owner – and that is as it should be. Amendment 74 would expand that concept so that government (i.e., we the taxpayers) would have to compensate land and property owners when government regulates the use of land or property and thereby cause any perceived diminution of value – even where such regulations are needed to protect their neighbors’ property, our communities, or our environment. Local requirements on construction projects to protect our waterways, such as maintenance of riparian buffer strips and management of stormwater runoff, could provide the basis for a diminution of property argument by a property owner that would require governmental compensation under Amendment 74 – or abandonment of those important protections. 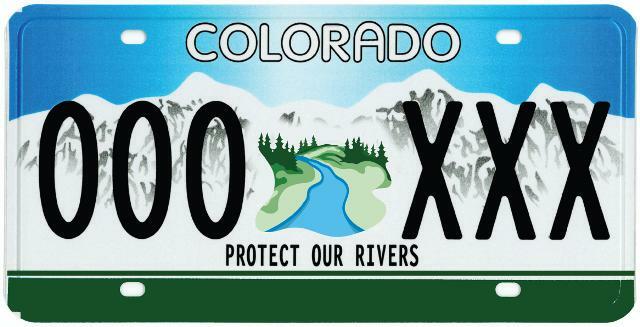 Since only the Colorado Water Conservation Board can hold instream flows, when such a state-held instream flow right requires another private water right holder to curtail their diversions in order to meet a water “call” for the instream flow, that could be interpreted as a governmental action diminishing the value of private property and require taxpayers to compensate the junior water right holder. The Colorado Division of Water Resources is in charge of dam safety inspections; if threats revealed in an inspection led the State to place restrictions on how much water can be safely stored behind a dam, that could lead to Amendment 74 claims since the owner of the water storage right would see their ability to use that right (and thus its value) diminished. In the wake of a tragic explosion caused by a flowline leak near Freestone in 2017, the Oil and Gas Commission adopted new flowline safety rules. Because the rules will increase costs for oil and gas production, they could be argued under Amendment 74 to have diminished the value of the underlying mineral rights and taxpayers could be forced to foot the bill. Fish health restrictions on the stocking of hatchery-produced fish that are not tested and certified disease-free could be argued to diminish the value of private hatchery properties and thus result in claims against taxpayers for “takings” under 74. Use restrictions placed by local governments (e.g., on placing liquor stores or marijuana dispensaries near schools, or water restrictions applied during drought) could be rendered impossible or prohibitively expensive. Even laws incidentally affecting a business’ profitability (such as minimum wage, or work safety regulations) could be argued to impact the market value of the property occupied by the business, and thereby become prohibitively expensive to enforce. The language of Amendment 74 is very simple – and very sweeping. It is so broad that virtually any arguable impact upon fair market value of any piece of private property resulting from state or local government action – no matter how reasonable or justified or minimal or incidental or temporary – could trigger a claim for taxpayer compensation to the property owner. Even where a restriction was essential to protecting neighboring property values – such as by preventing placement of a landfill in the middle of a residential area – such governmental action could trigger claims under Amendment 74. The exact reach of its impacts would undoubtedly be decided in the courts – tying up state and local governments in needless litigation even if some of the filed claims are rejected by the courts. The other key effect of Amendment 74 would be a major chilling effect on any local or state government rules designed to protect our environment, public health, and our communities – as our local governments may simply decide that the risks of expensive claims from private property owners preclude them from implementing the kind of planning and protections that we’ve come to expect from them. Amendment 74 isn’t a new idea; Oregon passed a similar initiative in 2004. After three years and $4.5 billion in payouts required from local governments, voters there recognized their mistake and repealed the measure. Colorado can learn from their costly mistake and vote “no” the first time. Colorado TU’s Executive Committee voted unanimously to oppose Amendment 74, and we are joined in that stance by a wide range of stakeholders – from Club 20 to the Colorado Nonprofit Association, from the AFL-CIO to the Denver Metro Chamber of Commerce, from the Colorado Association of Homebuilders to the Colorado Water Congress. Amendment 74 takes a risky and extreme interpretation of “takings” - and worst of all, it would embed it in our state Constitution where we would be stuck with its intended and unintended consequences, without any ability for the legislature to make adjustments to fix problems created by the measure. Colorado Trout Unlimited encourages our members and supporters to vote “NO” on 74. Older PostWould you like to make that a combo?